LyIT student and Indian ambassador Goutham Siddhaarth Moratuplym Shanmugavadivu Kuppurajhu tells us about life in Letterkenny. Situated in the North West of Ireland, in the coolest county of Donegal, Letterkenny is home to around 20,000 people. It is a city where you will find everything at its best, from excellent education to sumptuous entertainment and international cuisine. If you are a foodie, and love eating different continental food, you are in the right place. This small town has everything; Irish, Chinese, Italian, Mexican, American, African, Indian — the list is endless. Along the longest Main Street in Ireland, you can fill your hungry stomach with whatever food you desire. If you are looking for soft music and drinks along with your dish, then Warehouse is the best place to visit. Mr Chippie on the Station Roundabout is the best place for a traditional Irish fish and chips. If you have run out of money but want a delicious lunch, don’t worry! There are plenty of affordable places like Four Star Pizza, 4 Lanterns and Apache that offer student deals where you can get a delicious meal for just €5. If you want to try some international food, there are plenty of options available around the town. Check out The Bamboo Court or China Town for seafood with Chinese flavours. For something hot and spicy, Burrito Loco (a Mexican food chain) is waiting for you. 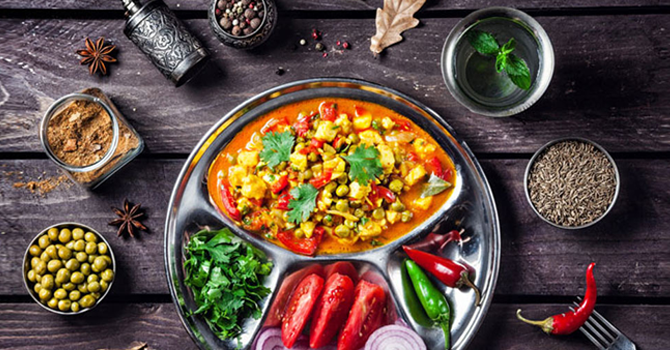 And when you’re craving an authentic Indian platter, Letterkenny has plenty of options like Taste of India, Shapla and many more. Student life is chaotic so there is always a need for entertainment to take the stress away. 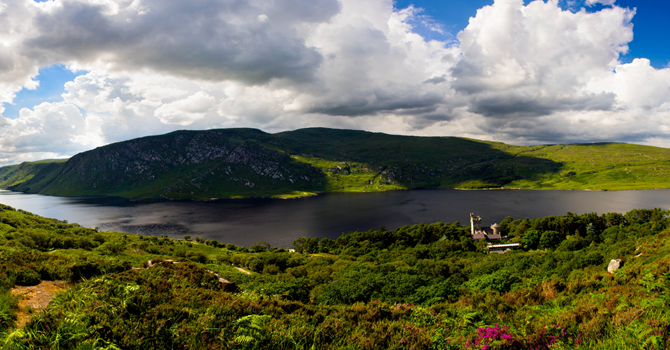 If you want to escape from the city and enjoy nature, Glenveagh National Park is the perfect place for trekking and exploring old castles. There are also several beaches within a half an hour drive where you can relax and enjoy the sun (on a sunny day). Letterkenny has the largest shopping centre in Donegal. 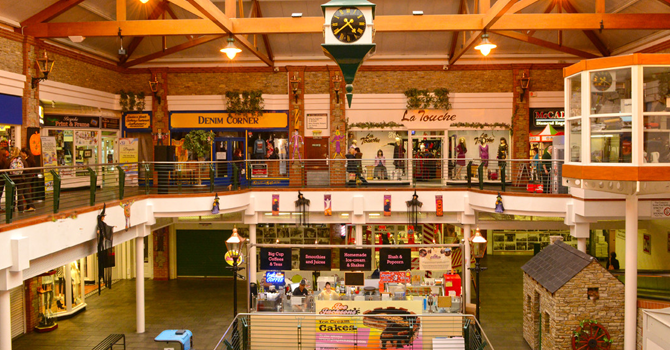 The Letterkenny Shopping Centre and the Courtyard Shopping Centre are two places where you can get everything from groceries to clothes. If your wallet feels too heavy and you want to make it lighter, then there are shops like H&M, M&S, TK-MAXX and many more in the Letterkenny Retail Park and Upper Main Street. 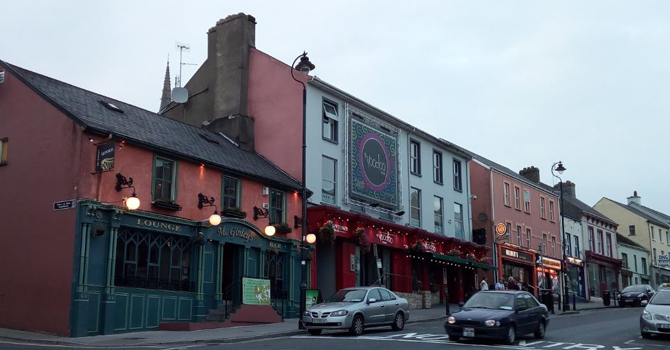 An Irish town would be incomplete without a bar, so in keeping with tradition Letterkenny has a great choice of bars and pubs for the weekend. To enjoy traditional Irish music and dancing while sipping a glass of wine, McGinleys Bar (the oldest in town) is the best place to go. For cheering yourself up during a hectic schedule of studies, Vodoo and Pulse are the best places to hangout with friends. There are also leisure centres like Aura and Arena7 which gives good student discounts if you want to enjoy a day of swimming, bowling, working out in the gym and playing indoor games. Letterkenny Institute of Technology was ranked the second-best Institute of Technology of the year in Ireland, as it provides an excellent education at the most affordable cost. This great value makes it an attractive choice for international students looking to pursue under-graduate and post-graduate studies. 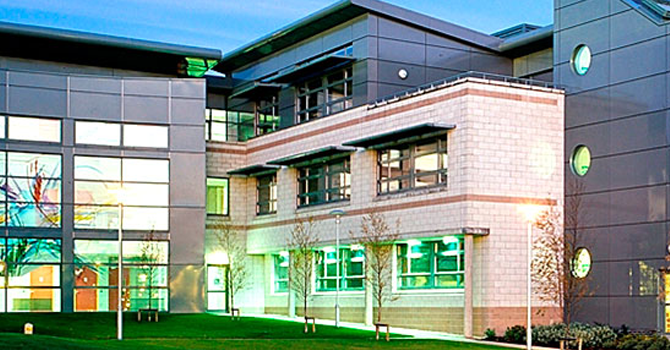 There are four schools in LyIT, which offer courses in different areas. They include the School of Business, the School of Science, the School of Engineering and the School of Tourism. Find out more about the courses, fees and entry requirements on the LyIT website.